At this difficult economic time, please participate in this critical campaign. Every individual, and every donation, counts. I am happy to participate in this important campaign. 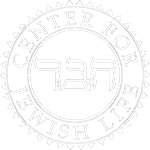 Please accept my contribution of: $ $18.00 $36.00 $54.00 $72.00 US, to The Peltz Center for Jewish Life.